He wowed with his chocolate boy image in shows like Choona Hai Aasman before finding his niche as a host thanks to his quick wit and humour. 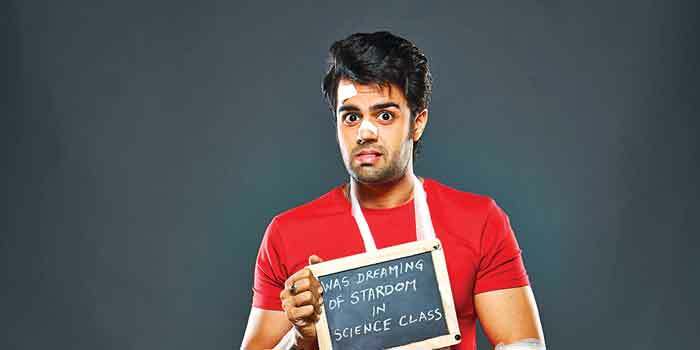 But now, Manish Paul, co-host of Jhalak Dikhhla Jaa 7, is donning the hat of presenter in Science of Stupid for National Geographic Channel. In the words of Paul, the show a�?will bring together a lot of masti and plenty of knowledge to goa�� with the host adding a humorous twist in the tale. Paul tell us about his role in it and what drew him to the show. It is a novel format, which takes a funny look at the most shocking home-shot videos and explains why stunts go wrong when amateurs try them. Each episode examines stunt videos with disastrous endings and explain, in scientific terms, what factors caused them to fail. Primarily, I wanted to learn about science. I actually got to know how to run on a treadmill and do a perfect flip! And while the viewers will think I know everything, I am actu-ally learning a great deal myself. I am actually thankful to NGC for the opportunity as along the way, I have learnt all that I missed out on, while I was a�?studyinga�� science in school. The best part of the show is that it explains the basics of science in a very interesting way. I am a true believer of learning through fun and the show exemplifies that. I once experimented with making candles at home. While my mother was sleeping, I brought all the can-dles in the house and literally tried to melt them in a pan! The result was of course that I almost put the house on fire. I now know better. Stupid people are those who want to do things but just dona��t know how to do it right. Like me! Ita��s great to experiment as long as ita��s harmless. What is better is to learn the science behind any planned stunt and do it right. The show premieres July 21. Whose loss is it, anyway?